Jennifer Lopez has a new line of clothes, shoes, boots, and jewelry at Kohls. 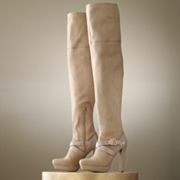 These over-the-knee boots are awesome! And I had to have a pair in black! I can’t wait to wear them. Are they not so cool?!?! Just a typical gal buying boots and shoes. Am I the only one that loves them? 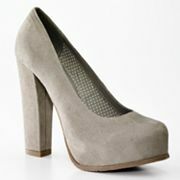 You will be styling and profiling in these babies!!!!!! You go girl!!!! Ain’t no granny in your shoes!!!! I’m so happy for you girl, that you can wear shoes and boots like these that are so cool looking and still remain upright. First of all tho just getting those boots on would tire me out so, that I probably wouldn’t be able to stand. I’ll just let you younger people buy good looking shoes and I’ll have to stick with the orthopedic kind.